Exactly as you'd expect Newcastle Brown to taste - a light British bitter. It has a distinctive light cereal character described as whole grain, toffee and chocolate. A candy, banana fruitiness is also present. 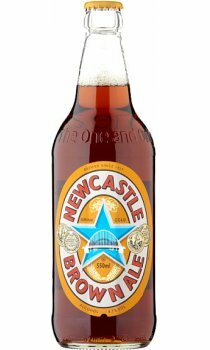 Newcastle Brown Ale is a very satisfying ale, it's lovely smooth taste is perfect when you are chilling out!